Nokia is rumored to be working on two mid-range models named Nokia 7 and Nokia 8. 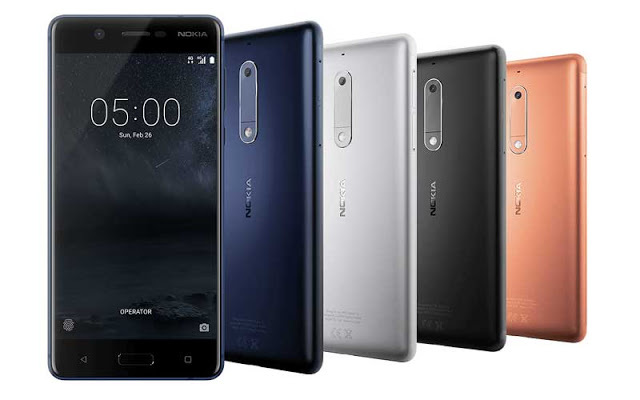 Nokia has recently unveiled Nokia 3, Nokia 5, Nokia 6 and feature phone Nokia 3310 at Mobile world congress 2017. It's been a while we heard of anything regarding the upcoming flagship phones in the Nokia series. The new rumor would be good news for the Nokia fans who have been eagerly waiting for the upcoming Nokia flagship smartphones. According to the rumor, HMD Global is currently testing mid-range Nokia Android smartphones. The two new models in work rumored to be Nokia 7 and Nokia 8. The two models are said to be powered by Snapdragon 660 SoC. Apart from the processor, the two models are said to sport new metallic body design, thinner bezels, and new unibody frame. There will be changes in the camera design and expected to feature bigger and improved camera sensors. But there is no information with regard to the Zeiss-optics. Coming to the display, one of the models will have larger Full HD 1080p display and the other model will have smaller QHD display. The other features common to both the models will be the fast charging and fingerprint scanners. Both the models are speculated to be released in June.